Sampurnanand Sanskrit Vishwavidyalaya (SSV) located in Varanasi was founded in 1958 and specializes in Sanskrit and related studies. The history of this institution goes back to over 200 years when under a proposal of Jonathan Duncan, the Government Sanskrit College was established in 1791. The university has a number of departments dedicated to science and humanities disciplines which sit under the faculties – Veda Vedanga, Sahitya Sanskriti, Darshana, Shraman Vidya, Adhunik Jan Vigyan & Ayurveda. SSV has a Research Institute and has more than 1200 Sanskrit-medium schools and colleges affiliated to the university. 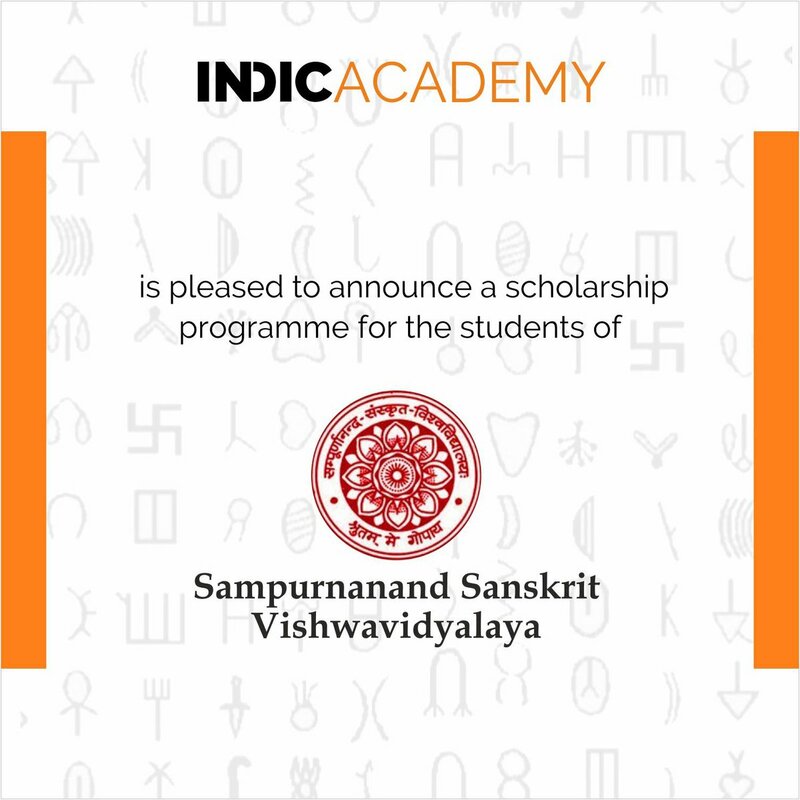 Indic Academy has recently announced scholarship support to research scholars and students at Sampurnanand Sanskrit Vishwavidyalaya for courses, internships, workshops & seminars. Indic Academy has reached out to all the Sanskrit Universities in India, offering them scholarship and grants and is committed towards their vision of creating a holistic ecosystem for the preservation, progress, promotion and pursue of Sanskrit and related Indological subjects.